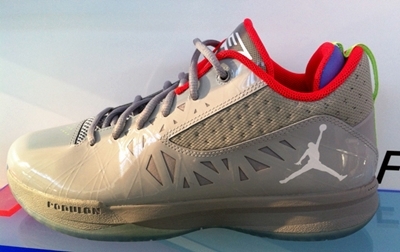 Jordan Brand recently unveiled various colourways of the new Jordan CP3.V, Chris Paul’s fifth signature shoe. Among the colorways that were unveiled, the “Dr. Jekyll” and “Mr. Hyde” got the most attention. Jordan CP3.V Mr. Hyde’s counterpart, the Dr. Jekyll edition is also quite impressive as it features a sneaker made up with grey upper part enhanced with touches of red on the lining and volt pull tab. Expect this one to come out anytime soon so watch out for it!